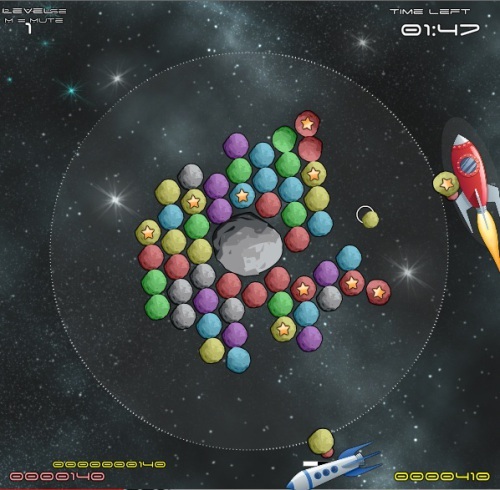 Description Mine the colored space rocks rotating around the asteroid in this bubble shooter match 3 game! Play alone against time, or play against a computer opponent. Let's Rock It!